The story really begins to sprawl. There is so much going on that twenty hours sometimes pass between mention of some of the main characters. Quentin was a particularly frustrating example for me. There was lots of character development and time dedicated to this character and yet... well, you'll see what happens. Developing a character to accomplish this event in the plot strikes me as absurd. Martin would have a tighter, more satisfying story if he had cut out some of this peripheral nonsense. The narrator Roy Dotrice makes no effort at continuity. He utterly fails to match his voices in this book with those in the previous books. His renderings of Melisandre and Daenerys are abysmal in Book 5. Previously he gave Melisandre a deep, passionate voice. Daenerys sounded distinctive, elegant, and proud. Now they sound like some uneducated prostitutes that Tyrion might gently insult. Stannis once sounded austere and utterly focused; now he sounds like a an unhappy castle guard. And Dotrice continues to pronounce names differently at different times for no apparent reason other than carelessness. Nevertheless, it's a fantastic story. 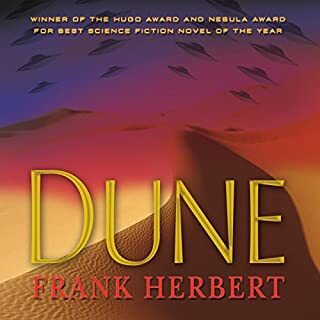 If you've made it through the first four, you should keep going because the characters and action continue to be great. I don't know how to review this book. My best advice if you are curious is to listen to the sample clip. If it grabs you, you'll like the book. If not, find something else. 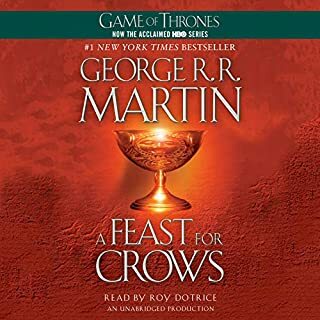 Narrator Roy Dotrice did a great job in the first three books. But in this one, his performance is inconsistent and disappointing compared to his previous efforts. He mispronounces names frequently and conspicuously. Petyr is sometimes Peter and sometimes Pi-tar. Brienne is sometimes Bri-een, sometimes Bray-een, and sometimes Brian. And in previous books, the voices for each character were distinct and memorable. In this book, almost everyone sounds more or less like Tyrion. I was especially disappointed that Dotrice abandoned his sardonic voice for Petyr. 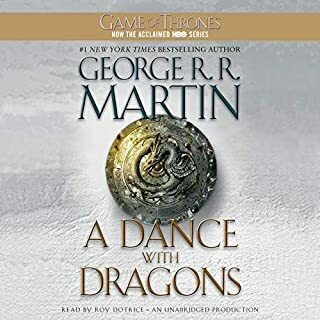 Dotrice does a passable job overall but he's not as impressive as he was in the previous books. This book is a series of interviews in conversation form. The interviews are deeply spiritual, but with no religious dogma. They are sort of a guided tour of human experience and the meaning of life. Big ideas and profound feelings are described simply, by way of example through myths from all over the world. 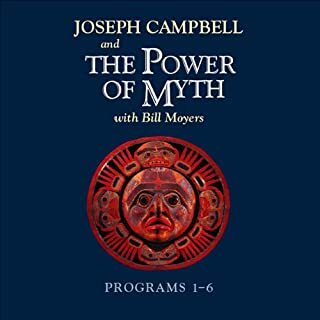 Joseph Campbell has lots of ideas about how we can live more fulfilling lives, and how society in general can be improved through myth. I expect almost everyone can find something meaningful and enjoyable in this work. If you must get through Ulysses, this is the way to do it. Narrator Jim Norton deftly speaks for many characters, and sometimes he even sings. 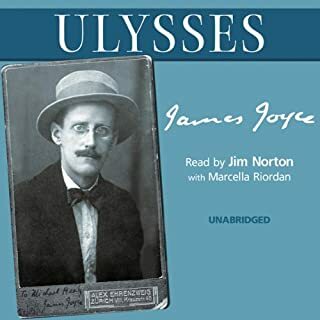 He makes Ulysses as coherent and accessible as it can be. I still found it helpful to read a study guide summary of each chapter prior to listening to the audiobook. 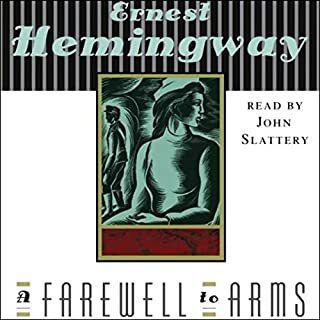 The final chapter is especially good, so if you give up in the middle (I wouldn't blame you for it, I would blame Joyce), be sure to skip ahead and listen to the last couple hours. Main characters are sometimes voiced by different narrators. Randomly, the main narrator takes over and reads everything. Then back to different narrators. It is confusing and annoying. 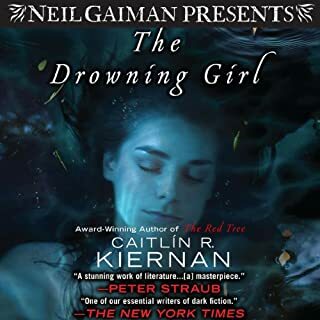 But overall this is a lively audio book and worth a listen.